Free Shipping Included! 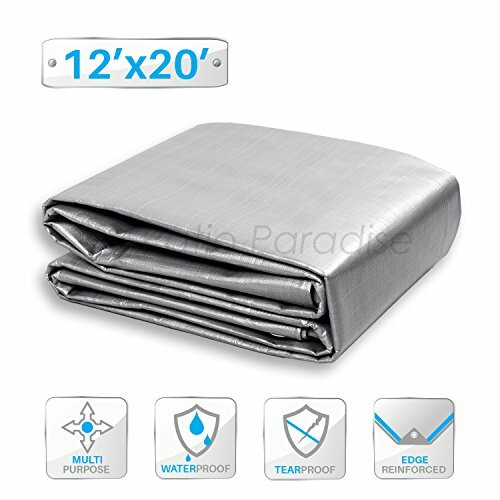 Patio Paradise 12' x 20' General Multi-Purpose Tarpaulin Canopy Tent Shelter Waterproof Cover Weather Resistant Strong Reinforced Silver Poly Tarp by Patio Paradise at List It Fort Lauderdale. MPN: 43237-2. Hurry! Limited time offer. Offer valid only while supplies last. Description Size Color Blue Attention: This Is Our Tarp Is Especially Treated with UV And Sunlight Resistant Formula for Extended Outdoor Use.